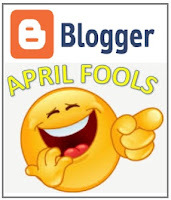 In an earlier post...OverDoSue's Sixth Year Sign On With AtoZ...I alluded to a number of April events and commitments. Like the AtoZ Challenge, they too, are going to demand time, effort and consistency to pull off the Multi-April Challenges. With that said, I am excited to announce my selection as one of the Featured Fiber Artists at the Wearable Arts Showcase. 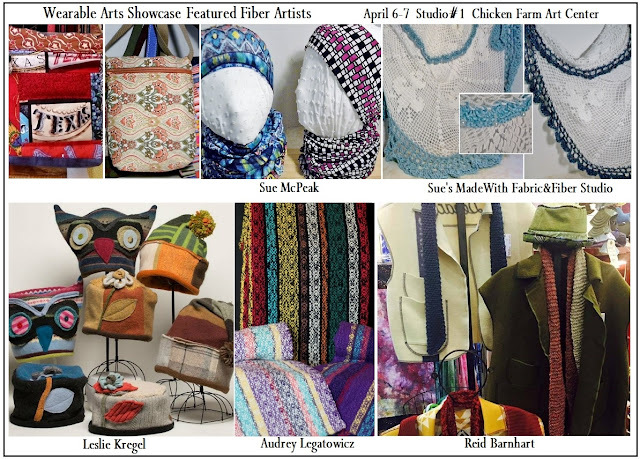 Sponsored each spring by the Chicken Farm Art Center, the event features three out of town Fiber Artists and a Studio Artist from the Chicken Farm. An Opening Reception is held on Friday evening in the Event Studio #1 and is continued on the next day which is always the First Saturday Monthly Show. 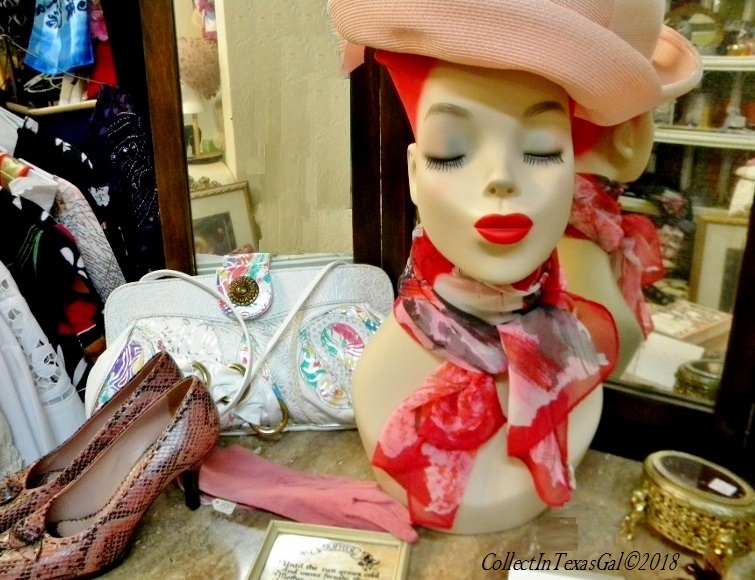 As a 'Wearable' Arts Showcase the primary focus is on....well, wearables. 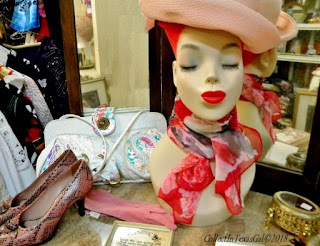 I do have a good inventory for wearables such as aprons, smocks, scarves, shawls, hats, jewelry, bags and so on, but I want to bring some new Spring and Summer items. So, that's what I have been working on with a line of small zipper pouch bags with shoulder straps, a line of Yoga/Runner Lycra Headbands, several lightweight crocheted summer shawls, and a line of Kimonos made from lightweight voile, jersey, and knit fabrics. I will debut them later. 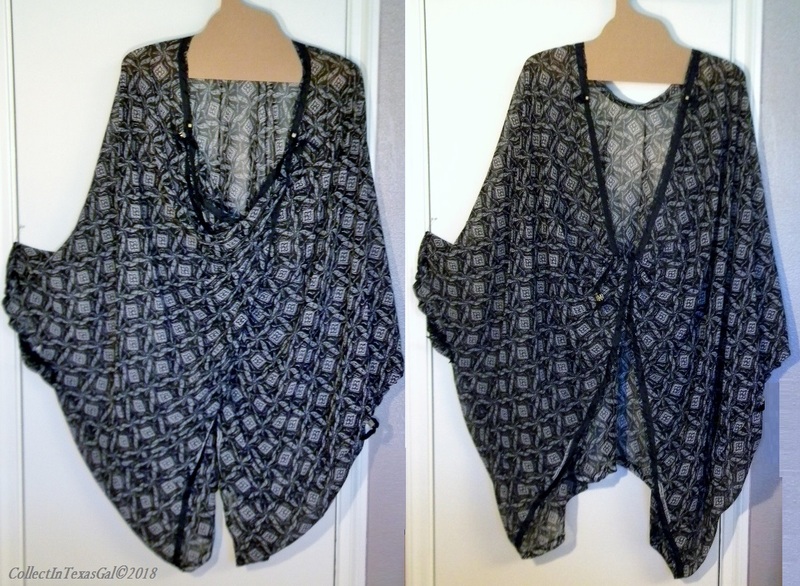 I'm having great fun designing these Kimonos with a SueTwist. Gotta Go...So many more to Sew! cooler than people who never start projects. How cool am I. I'm great at multi-project starting. Yes, I can have lots of starts in many mediums stacked, stashed and stuffed around my studio, in storage and in nests around the house. I can now include 'In my computer', as I have scheduled A through M to the AtoZ Challenge Daily List Link. Letters N-Z are set as drafts with Titles and some with photos and several scheduled...that means finished. BTW, it is also 'Cool' to have multiple WIP's...Works In Progress. Accomplished, Concluded, Done, Ended, Finished! Time to Start a new project😉! One week from today the AtoZ April Challenge kicks off. Since making the decision to join in this year, I've changed the idea for my theme a dozen times. 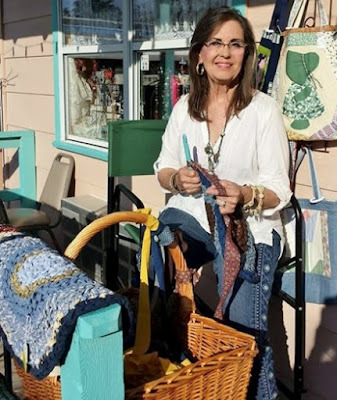 Do I really want to come off as a person with an OCDisorder, and will anyone be curious enough about an OverDoer's world of fabric-fiber-crafts to even give a click? I guess we will find out...my AtoZ Header is ready to take it's place at the Header/Banner position, and 10 or so posts are written. The quote in the center of the header is a glaring reminder to myself. So far it's not working all that well, as I've been browsing my photo files for ideas, and as soon as I hit on something, I'm off to the writing races. I will have to slow down in the next few weeks. 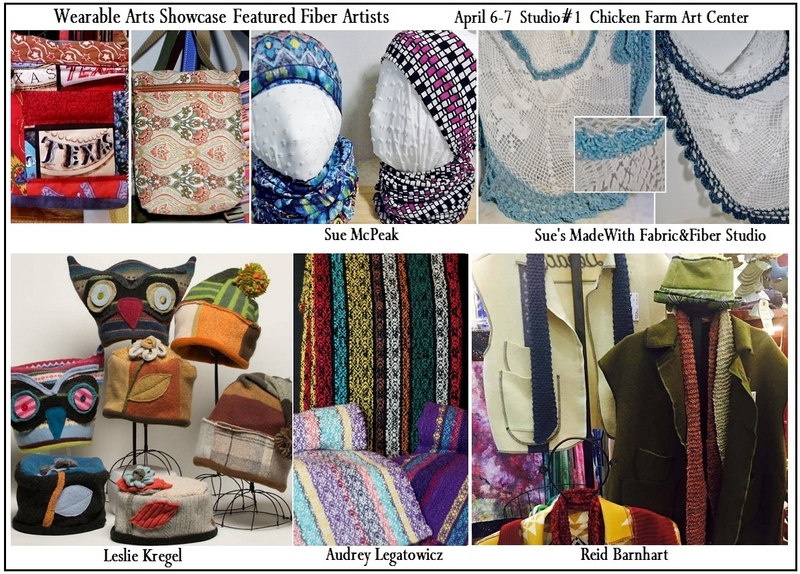 I'm being featured in a Fiber Arts Show at The Chicken Farm Art Center where my Studio is located on April 6th and 7th. Lots to do...in my mind...to get ready...even tho my shop runneth over. It's another OverDoSue thingy! "How hard can it be, Sue"? Let's count the ways. First, after participating for 5 straight years beginning with 2012, I missed and regretted not making the 'X'tra 'E'ffort to join in 2017. AtoZ made a big change in it's format, and I had just opened my Shop/Studio....reasons I felt were going to make posting daily in April too much of a 'C'hallenge. When the AtoZ Team began gearing up for 2018 with their blog posts in February, my interest was peaked. Maybe was my thought! 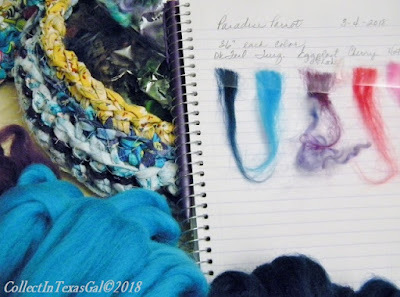 Then, March rolled around and my calendar for the 5 weeks of March and first few weeks of April began to fill up with Shop Classes, Spinning, Fiber Arts Showcase, and Family Obligations. Suddenly, 'Maybe' became an adamant 'No Way'. 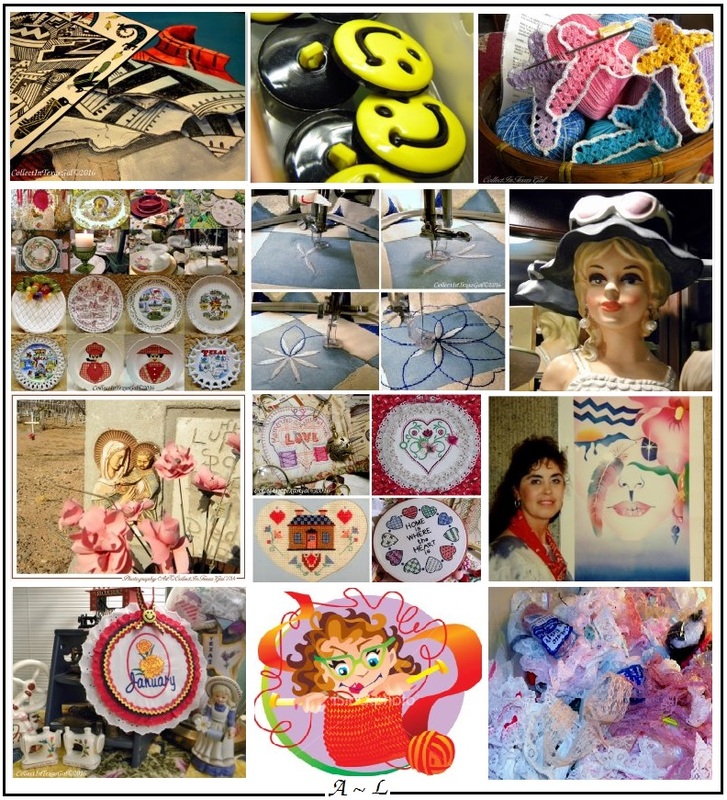 Secondly, for 2017, I had exhausted my Family History, Quilting Life, Old Photos, 1950's-60's Yearbooks/Scrapbooks and finally my Collections of Art to Zippers. I had nothin'...nada...zip for a theme. I'm pretty much a 'Theme/Topic' writer/poster, so that sealed the deal on participating in 2017. Thirdly....really, Sue, how hard could it be? The answer and a 'Theme' came to me while driving through the Hill Country where Bluebonnets are beginning to bloom. 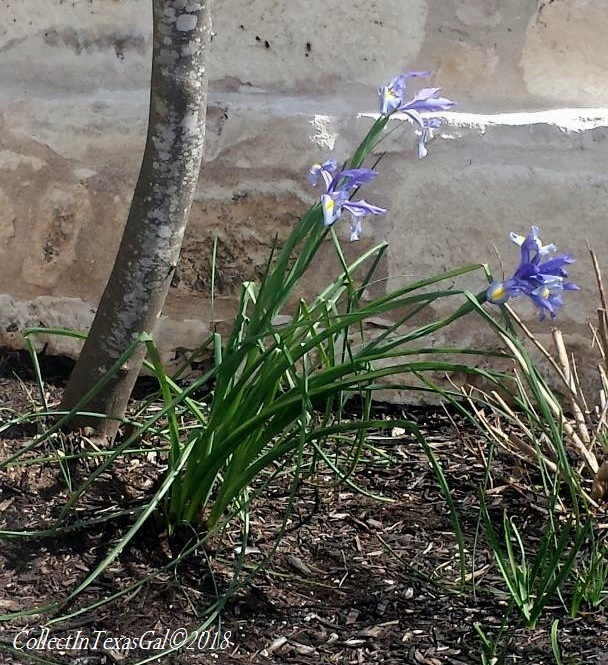 As the State Flower of Texas, they are an inspiration for anyone contemplating a short commitment. You see, they bloom in late March and are gone the last days of April. During their 30 plus days of blooming along the highways, covering fields and pastures and blooming in gardens and yards they provide Texans and visitors with a stunning and unforgettable experience in nature and Mother Earth. 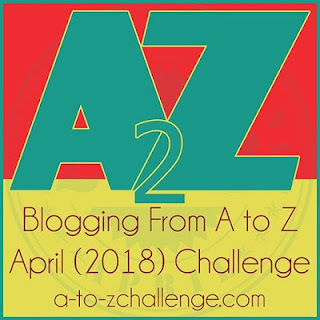 The Master List sign up is how participants officially register to join the A to Z challenge 2018. 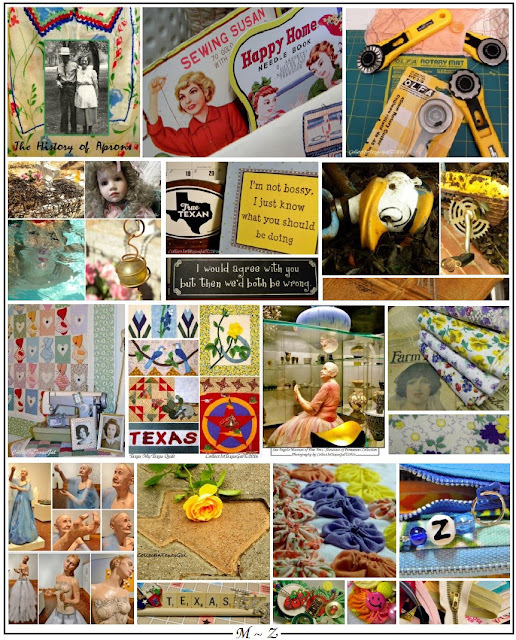 What timing on part of the AtoZ Team...'The Master List' post caught me on the 'Bluebonnet Trail'. I was #414...my Lucky Numbers! Meant to be! I got this covered from A to Z....don't you agree? A few years ago I spit in a tube and sent it off to a DNA project on ancestry.com. What a surprise to find out I am 29% Irish. As they say in ancestry.com ads, "I had no idea". Really, 29% is a wee bit more than 'A Wee Bit Irish', and again to quote the 'Ad'..."I wanted to know more". The search began on my ancestry DNA Story with two family names. Both from my father's maternal line. It starts with my Great Grandmother Martha Jane Marley Carroll and her Mother, Mary Josephine Leatherwood Marley. 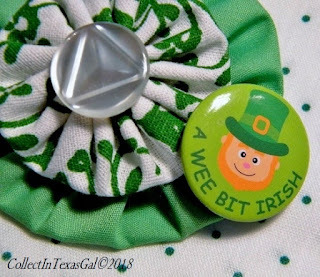 Neither of the names Carroll or Leatherwood to my ear had a ring of Irish. As it turns out the Leatherwood line lead through at least five great grandmothers maiden names to reach an Irish descendent. That's the 'Wee Bit Irish' DNA accounting. Carroll, which is my father's middle name and the last name of his grandfather Stephen Bennett Carroll, lead to a 'Whole Lot More Irish'. William I. Carroll immigrated to the Virginia colonies with his parents. His father Thomas Edward Carroll died when William was 9 years old. Records in ancestry.com state he married Elizabeth Spencer, daughter of neighbors William and Elizabeth Spencer in 1748. The first records of William and Elizabeth show he leased two hundred acres of land with a payment agreement of 630 pounds of tobacco over a period of three years. With that he became a tobacco farmer committed to a three year lease in Fairfax County, Virginia. William and Elizabeth's son Thomas Carroll was born July 16, 1753, in Goochland, Virginia. According to records and a yearly timeline, the family migrated to North Carolina around 1755. Along the Catawba River, during the years of 1755 - 1763, the French and Indian War drove hundreds of settlers out of the area. The Carroll family ultimately settled in Granville County, North Carolina, about 100 miles from the hostile Indian territory. In 1762 William is listed in the Taxable's for the Bare Swamp District in Granville County. Over a period of years, that county changed districts and county's several times, and in 1780 became part of Franklin County, North Carolina. It is thought that William and his family resided there for about 20 years where he owned 240 acres of tobacco farm land. Changes in county boundaries made for difficulties in tracking land and counties, but the Carroll family were lastly recorded in Granville County. William and Elizabeth Spencer Carroll had at least 9 children...all named in his 'Will'. Of the five daughters and 4 sons, my direct descendant and 5th Great Grandfather Thomas received a small inheritance of 5 pounds in cash. The largest part of Williams estate went first to his wife Elizabeth until her death or remarrying, and upon either of those instances, son Jesse was to inherit the 240 acre plantation and his heirs forever. As for Thomas, along with his 5 pounds in cash and upon the death/marrying of his mother he stood to inherit a Featherbed. Why only 5 pounds in cash to my Great 5x Grandfather Thomas...perhaps could be related to an Irish Birthday Blessing. Telling Williams story in honor of Saint Patrick's Day 2018 seems a 'Wee Bit' incomplete without knowing his exact month and day of birth. Therefore, I invoke my 'Fact to Fiction Writers License' and declare his birth month as March and his birth day as the 17th. How else could it be for someone born in Limerick, Ireland? May the dreams you hold dearest be those which come true. May the kindness you spread, keep returning to you. Happy 287th Birthday 6th Great Grandfather William Carroll. the kindness you spread and a Featherbed. If not for you I would not be me. Whenever something comes across my path that is 'Titled', I like to know as much as I can about it. Such is the case with this 'Roving' I ordered last month, and just now felt I had enough spinning behind me to do it justice. Now one of my all time favorite Spring flowers is the purple Iris. So naturally, I had to check out the botanical species 'Arco Iris'. Big surprise!!! It's not a botanical species. It's a human species...several of them. Arco Iris (Spanish for Rainbow) were a rock group from the late 1960s until the late 1970s in Argentina and were influential in Argentine rock music history. (read more HERE on Wikipedia). How did a gal raised in the 60s not know this? I was a 'Flower Child' wannabe, but on the wrong species side of the Iris. Anywho, I spun a spool full of thick and thin single roving (picture one) and then plied it with a sparkly strand of mohair sock yarn and a Iris purple strand of lace weight mohair (picture two). 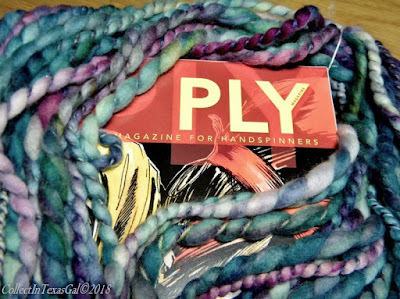 As I have mentioned before, the Ply part of spinning is my favorite technique. 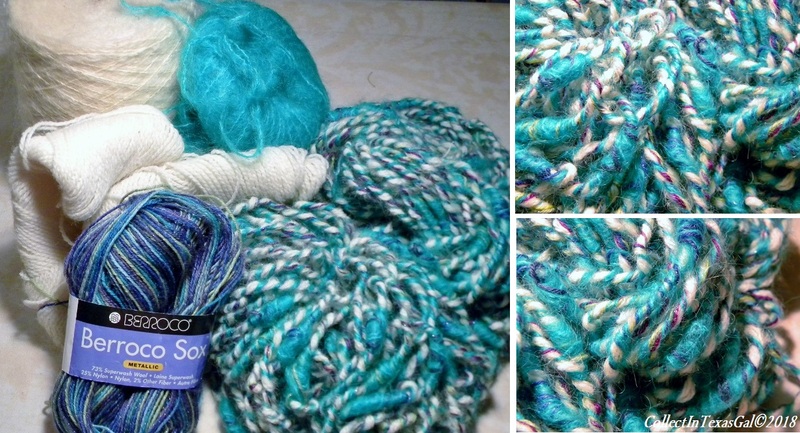 I love the way it gives definition and added texture to the yarn. With that in mind, it was a given that I would get a subscription to 'Ply' magazine. 2018's first publishing was all about 'Flax'. If I were a spinner like my 5X Great Grandmother, who surely knew all about 'Field to Fabric Flax', I would have been more excited about this months magazine. Since I'm a 'Sheep to Shop' spinner...heavy on the 'Shop'....it made for a good photo shoot. yielded 40 yards of beautiful Arco Iris yarn. Several things in the last few days have given me cause to reflect on this time of the year...last year. 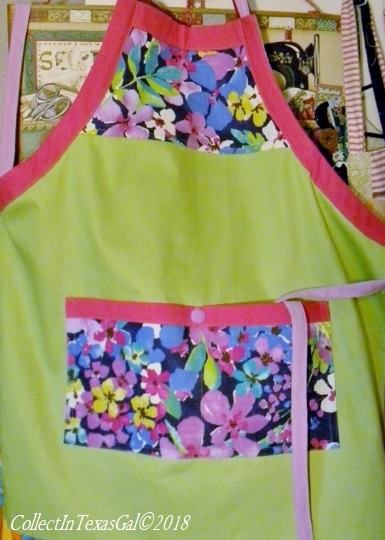 With the sale of this Spring Green Apron today, sealed the deal of 'It's That Time of Year. It was at this time last year I was in the Apron Making Frenzy and on a quest to use as much 'duck fabric' as I could in designing and making these 'Tie Slide To Fit Any Size' aprons. They sold like hot cakes! Why this one didn't sell last year....who knows. It sold today to a lady who bought one last year and came back for another. Lucky her, it was the last one! Now, I'm thinking I should make another batch. 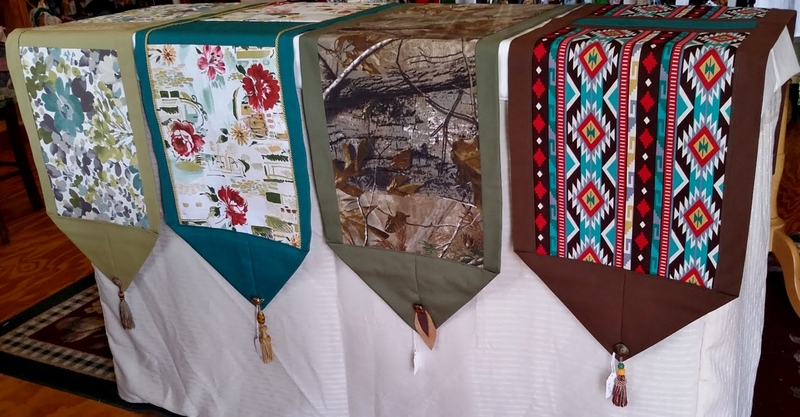 I'll have to think on it as my focus has changed from aprons to table runners with duck fabrics. Speaking of TIME....it's THAT TIME of Year for Daylight savings time. I've spent all this time since it changed in the Fall Back trying to adjust, and now here it is time to Spring Forward. Please let it be one or the other. Have I showed you my latest run of 'Table Runners'. My Google Picture Albums don't show that I have, so here are some of them. As I mentioned earlier, the duck fabrics previously saved for aprons have become home décor instead of person décor. Both useful, right? As you know, that's important to me...making things that are useful. Here are a few individually photographed runners with size and price. Yes, I know....It's somewhat of an 'OverDoSue' Table Runner Run On and On and On! I think I'm over them for awhile. On To The Next OverDoThingy! My Favorite Spinning Technique...So Far. Once again my baskets and bins are over flowing. Only this time with sheep stuff instead of fabric. 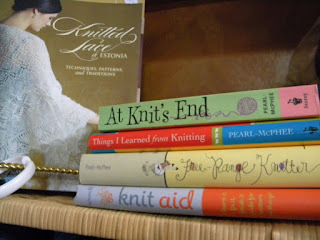 Oh, I do still have more than my share of fabric and fabric scraps, but the sheep stuff has my undivided attention at the moment. And as you know as readers of this blog, that can change in a blink of the eye. ﻿ Just the other day I filled a 'Bin' with a stock of Mohair Top Roving...thanks Polina. It is a 'Bin of Many Colors', but for my first project I decided on a color way from my Pinterest Board. Since starting on Pinterest a few years ago, I have saved just about every one of the 'Color Combo' posts I come across. 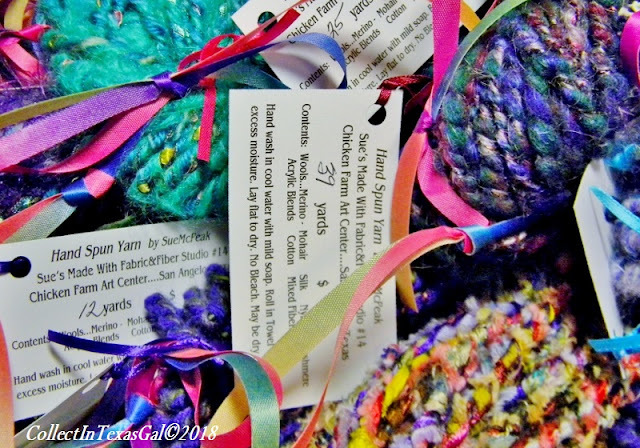 I use them often when deciding on colors for yarn projects. If you check it out you will see why I dubbed this project 'Paradise Parrot'. The 'Locks' part of this post, although keyless, may become the key to successfully giving the Parrot wings. 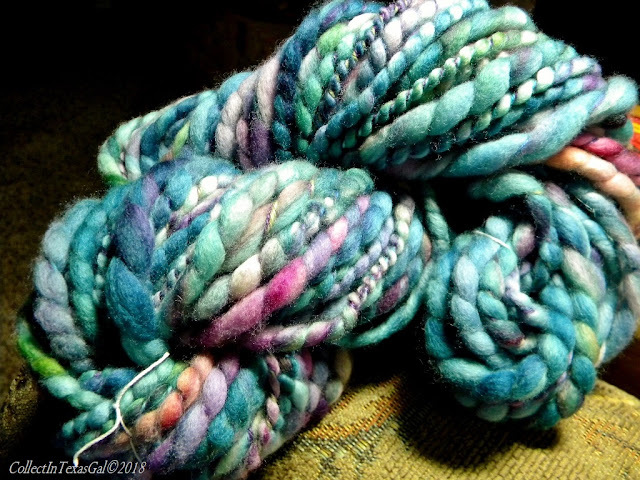 I also decided to keep a record of spinning this stock of mohair top. I might want to repeat it later on...after I see the results. This is not my usual way of working, but flying by the seat of my pants, often gives me results I would like to repeat but can't remember what pants I was wearing. DaDa! Here it is...Locks and Stock! It took a few days to get up the courage to spin the basket of Fiddly Fiber. I didn't want to mess it up, besides it was so pretty sitting in the basket. In the between time, I continued to practice on several other groups of mixed fibers alternating between spinning, plying, spinning again with another mix and fancy plying...learned that on this U-Tube...so fun and quickly becoming a favorite technique. It's a process to get the basket of Fiddly Fiber in basket one to the Finished Fiddly Fiber in basket two. 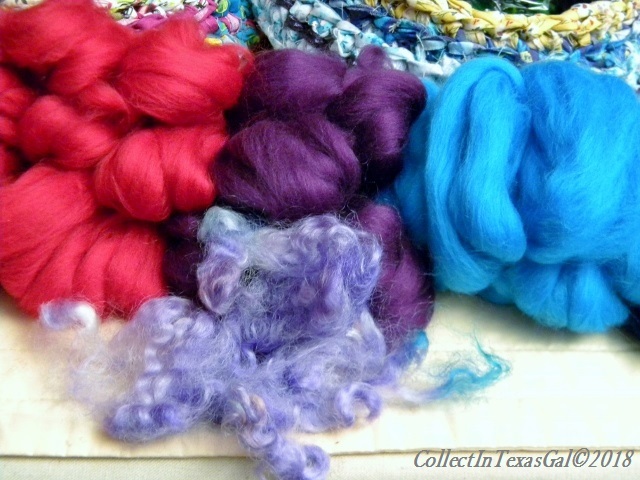 After fiddling around with other fibers...described above...I had a pile ready to 'Set' in a warm bath. 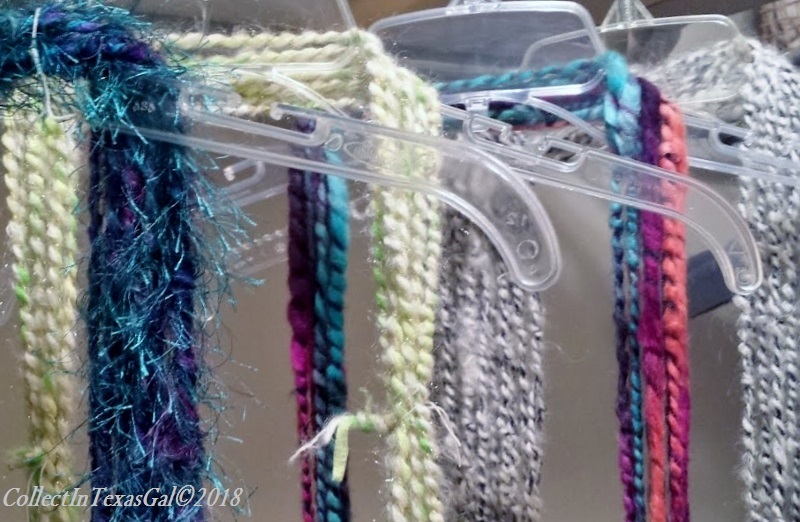 Setting keeps the twisted/plied fibers twisted and stable...it's the wool/mohair that binds everything together, and since I LOVE mixing a bunch of fibers together, I almost always ply/fix with at least one strand of mohair/wool of some sort. After the bath the skeins are hung to dry. Now you can see the mixed fibers more distinctly. Only the Fiddly Basket Fiber is 100% wool/mohair. The others are a mix of acrylic, bamboo, fun fur, metallic, mohair and ribbon.